Piano-pop softies Coldplay took things in a dancier direction with their latest LP A Head Full of Dreams, even roping in a cameo from Beyoncé. Now the band have unveiled a video for their collaborative track "Hymn for the Weekend." The Ben Mor-directed clip was filmed in Mumbai, India, and finds Coldplay exploring the city and taking part in Holi celebrations with locals. Queen Bey makes an appearance, looking flawless as ever, decked out in rainbow-coloured flowers and sequins. There's also a cameo from Bollywood superstar Sonam Kapoor. Beyoncé and Coldplay are set to team up once again at the band's upcoming Super Bowl halftime show on February 7. 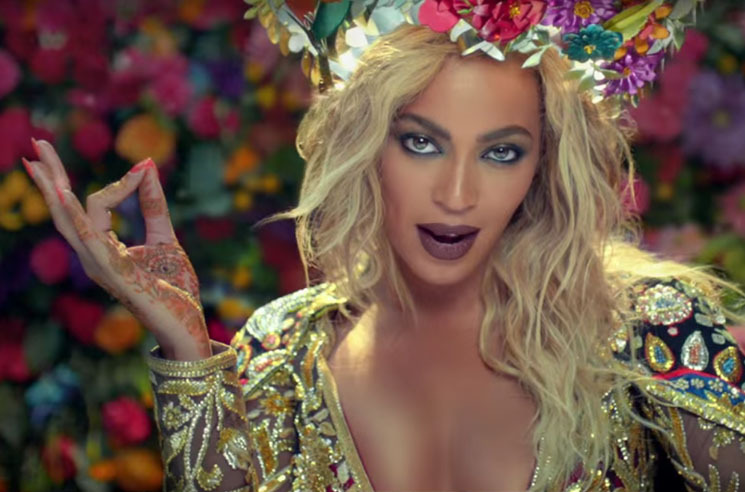 For now, get your Friday on by giving "Hymn for the Weekend" a watch in the player below.